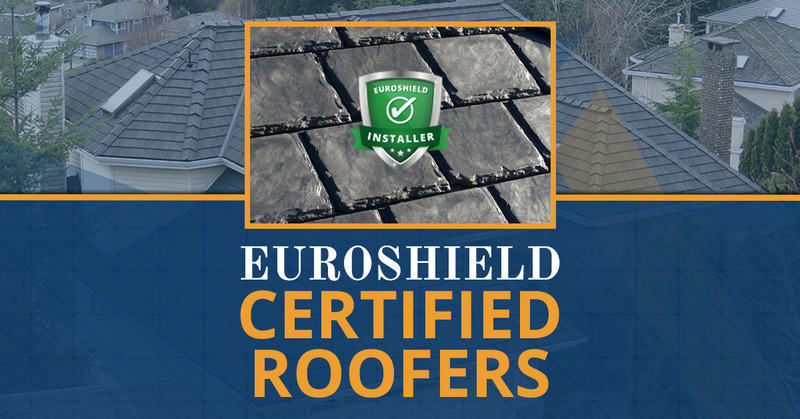 Golden West Exteriors has earned the Euroshield Certified Roofers installer badge. Hail, Heat, Wind, Rain, and Snow… Bring it on. Eurolite Slate®, EuroSlate®, EuroLite Shake® and EuroShake®, are Eco Friendly Green Roofing products made from up to 95% recycled materials, the primary ingredient being rubber from recycled tires. A unique manufacturing process incorporating strict quality control methods results in a superior roofing product with durability characteristics unsurpassed in the industry. It simply bounces off. Click here to check out the entire product line. http://www.euroshieldroofing.com/products/ Check out Euroshield® Rubber Roofing Systems warranty information here http://www.euroshieldroofing.com/warranty-information/ Learn more about the product by watching this informative video.